Why is it with the ERL, when I sh into the router, there are some files (a lot) that I can't modify or delete, which I could on my old Gargoyle router? e.g. even the dnsmasq file downloaded from dns4me. I've tried chmod -x but it won't let me do that. Are there some permission settings or something that I'm missing? Oh you've moved from gargoyle as well. Is the ERL like the USG in that in the /etc/dnsmasq.d file you just load a .conf file and that is used? If so I've got a script that may also work for you that just downloads the dns4me dnsmasq file to a temp location, checks it's newer that a stored one in /etc/dnsmasq.d and if so copies it over and reloads dnsmasq. sudo -s is what you should be using however you should never need to use it. Yep, I upgraded to the ERL a couple of months ago, in preparation for coming fibre. Also, allows me to repurpose my Netgear router as a wireless bridge to a stereo in our kitchen, which I'm about to do. Thanks, but I've already got a script etc setup and working perfectly for dns4me on it. Great, thanks for that. I probably won't ever need it. It was just I went to manually change the downloaded dns4me dnsmasq file, to check the crontab and script with diff, wget etc were all working as expected. But I couldn't manually modify it, as I could with Gargoyle. This Edgerouter Guide looks fairly simple but I am still a little nervous. Do not tick Bridging - this will severely hinder the performance of the Edgerouter. Also, one more question - if this summary is correct, can I plug it into a friend's ONT connected to Orcon to test it, or are their settings different? Oops. I copied and pasted the wrong section. VLAN: If you're on BigPipe, then keep this unticked. I believe those settings will get me connected then I can change other settings as required. You won't be able to test this on an Orcon connection as they don't use port based auth with PPPoE. I will need to connect to BigPipe VDSL until Fibre is available (will be soon, Enable said probably another 4 weeks) so I am now considering that it might be better to get a NetComm NF8AC. Do you know if I will be able to set up my current NetComm NF4V (with Orcon firmware) for Bigpipe VDSL until UFB is available (Orcon want their modem back)? The Bigpipe guides are very clear but I wondered if the Orcon Firmware would restrict it to their settings. I respect your advice (that the Edgerouter is your favourite). Has anyone got IPv6 with dnsmasq to work or is it even possible on the current firmware? V6 DHCP server running? Can only use this if you have a range of v6 IPs. like a /56 or /60. I got my Edgerouter PoE running on vodafone yesterday. DHCP and Vlan 10 were the only options needed. It has 2 networks by default. eth0 and eth1 for one LAN, and eth2, eth3, eth4 for another network. I ran some AC lites off it, Yep working great. Unforunately I couldn't get a vodafone sip line working behind it, but it wasn't too hard to get running. Can you use the Vodafone supplied HG659 to put in bridge mod, as I'm keen on an Edgerouter and UniFi AP AC HD 4x4 setup, and sick and tired of rebooting the UFB supplied HG659 and the poor signal. Welp - I'm now having a bad time. edgerouter poe - about 5 months old. It seems that my Switch0 interface no longer works. About a month ago, it seemed like the router died. I had to do a factory reset to bring it back, then it came back for about 24 hours. I temporarily went back to my old router. With some time off recently I did some digging. Eth0 & eth1 perform as expected - DHCP works, connects to internet etc. Swtich0 (no matter which Ethernet port) no assigned ip address. Set a static one in the 192.168.2.x rage - still can't access any services or even see the router. Am I doing something wrong? I certainly hope so as I don't want to have to go through the whole return/exchange process. So I've just bought an ERL, updated it to 1.9.1, will hopefully set it up completely tonight. Do I leave those vlan settings as is and replicate that in the ERL - PPPoE on the WAN? I'm using the basic setup wizard with eth0 being the wan, default firewall enabled, so to get an ISP IP into the ERL am I missing anything? Hi am a newbie needing some desperate help. Got an ERL and updated the firmware. 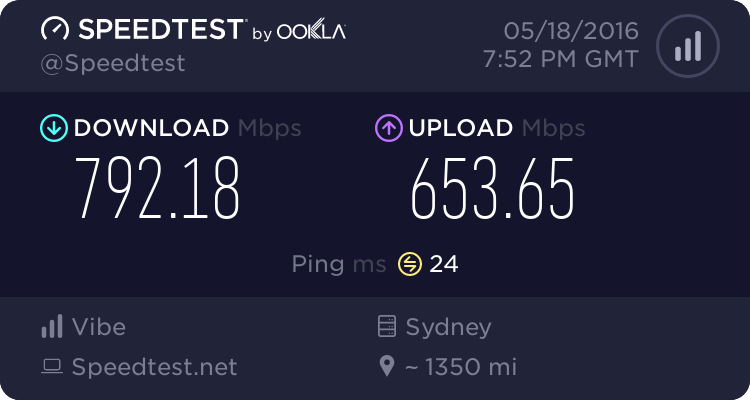 Provider Vodafone Fibre + Landline through the HG659 + Sky over IP. Tried the tutorial with the ERL directly to the ONT. Got linked to the internet but the Sky box didn't like being plugged in to the switch through the ERL got no image bit I think it picked up the Guide or may have had it stored? And of course no Landline. Next tried the ERL to the HG659 as per the tutorial but got no internet. Re-configured the ERL without VLAN 10 and now have an internet link. Also configured PPTP VPN. Setup as per a YouTube tutorial by Willie Howe. Followed the CLI commands and then setup Firewall rule for Port 1723 and gre protocol. Can't link through to the ERL through VPN. Is this because the ERL is sitting behind the HG659.